If you are looking for a professional local mover in Kalamazoo or a moving company in West Michigan, you have found the right team! We are locally owned and operated, and we have been moving residents with care and expertise for seventy years. We understand that moving can be stressful and difficult, that is why we are so passionate about helping! Our job is to ease the burden for you. By definition, a local move is any residential move whose origin and destination are within 50 miles of each other within Michigan. For example, a move from Kalamazoo to Plainwell in Southwest Michigan, or Grand Rapids to Rockford in West Michigan. We’ll provide you with our “Red Carpet Service” during the entire move. Runners will protect your flooring, corner guards will protect wall corners in traffic areas and stretch-wrap will cover overstuffed furniture and other items. Our professional crew also has the training and equipment to move large, heavy and difficult items such as pianos, organs, gun safes, taxidermy, hot tubs, grandfather clocks and pool tables. For more on moving these items, visit our Specialty Moving page. We’re committed to delivering the highest quality local moving service to the Kalamazoo, Southwest Michigan and West Michigan areas. 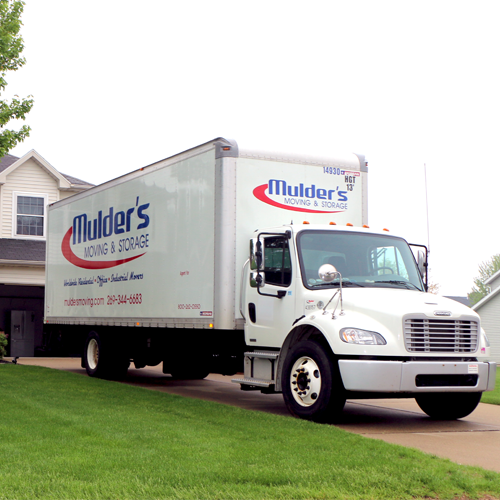 Mulder’s can provide you with an estimate for your upcoming residential local move by calling (269) 344-6683 or by using our Online Estimate tool. We will set up a time to come and walk through your home with you to get a better idea of the size and scope of your move (free of charge). If you are looking for a moving company anywhere in Michigan, we can help! Although we are based out of Kalamazoo, we can move you anywhere within the Great Lake State. A Michigan move is any residential move within Michigan where the homes are more than 50 miles from each other. For example, a move from Kalamazoo in Southwest Michigan to Muskegon in West Michigan. Or, a move from Grand Rapids in the lower peninsula to Sault Ste Marie in Upper Michigan. 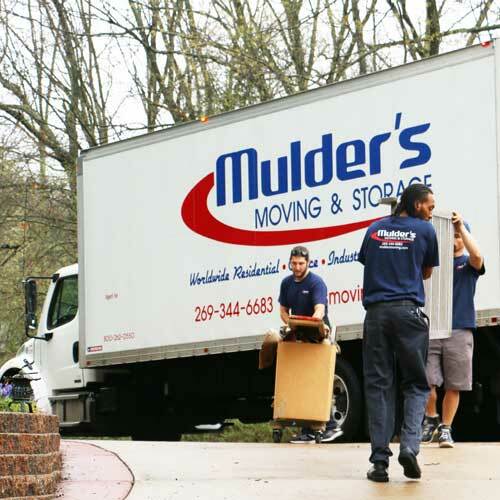 The State of Michigan sets the rate structure for Michigan residential moves and Mulder’s can provide you with an estimate for your upcoming residential move – just call (269) 344-6683 or use the Online Estimate tool. 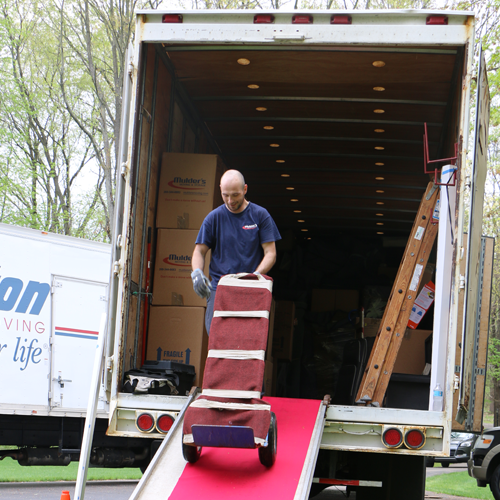 You’ll benefit from our “Red Carpet Service” during the entire move process. We use runners throughout your home to protect flooring, corner guards to protect wall corners in traffic areas and stretch-wrap to cover furniture and other special items. Our professional team also has the specialized training and equipment to move large, heavy and difficult items such as pianos, organs, gun safes, hot tubs, grandfather clocks and pool tables. We’re committed to delivering the highest quality moving service in Michigan. Looking to move across state lines? Believe it – we can take you there! Although we are a small, local company, we can perform these large scale moves as we are Interstate Agents for Wheaton Van Lines! A national move is any residential move whose origin is in one state and whose destination is in a different state. For example, if you are moving from Michigan to Illinois, Ohio, Wisconsin, Tennessee, or any other state. Mulder’s has been committed to delivering the highest quality national moving service since 1948. For an estimate, call 800-262-0550 or use the Online Estimate tool. Moving to another country? Yes, we can help! Although we are small and local, we have the resources to take you almost anywhere in the world! An international move is any residential move whose origin starts in one country and whose destination is in another country. For an estimate, call 800-262-0550 or use the Online Estimate tool.